Julia Rosenthal recently attended a marketing tech conference hosted by NZTE in Melbourne, which showcased five New Zealand tech brands making waves in 2016. Here’s her rundown of the innovations on show. 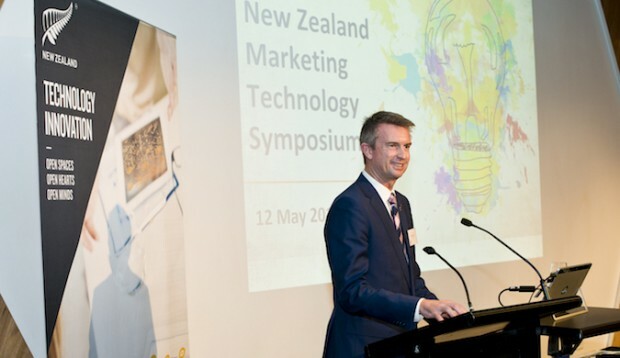 You may not have heard of any of these businesses, but after attending a recent marketing tech symposium hosted by New Zealand Trade and Enterprise at ACMI last week, I’m inclined to think that you probably will soon. These businesses – 90 Seconds, Plattar, Postr, Shuttlerock and Affinity ID are geared towards helping B2C marketers connect more authentically with their customers. Affinity ID has seemingly managed to achieve what everyone else aspires to, but have failed to produce. For marketers, managing data efficiently, to provide a personalised experience for customers across all mediums and touch points is the Holy Grail, but the expense and time consumed in setting this up can be too great. Affinity ID has invested heavily in producing a framework to connect up your existing platforms and systems, consolidating your data and injecting some complex rules and workflows, to create a personalised experience for your prospects and customers. What this means in practice, is that any of your existing information on a client, can be used to create a personal experience for them. For example, when they come to your site you could greet them with a highly targeted message. Affinity ID also work on behavioural science, UX design, sales journey mapping, and strategy consulting. Shuttlerock has developed a platform designed essentially to curate and amplify content. It offers businesses who would otherwise not have the means, to play in the content marketing space. Where it differs with every other content marketing business is its ability to turn customers into brand ambassadors. The platform scrapes the internet for conversations these people are already having about your company and converts them into little content machines. This takes the hard work out of developing content, proof reading, and all the other challenges that come with it, so you can get on with running your business instead of drowning in content. Postr was next to present, with an idea I thought it was pretty clever, and with 15,000 current users, it’s clear I’m not alone. Postr sells ad space on individuals’ smart phones, specifically, the lock screen. My first thought was ‘why on earth would anyone enable advertising on their lock screen?’ With its audience of one, it’s not necessarily the most attractive option for advertisers either. Postr makes it enticing, however, by partnering with telecommunication companies, who offer the mobile phone user 500MB of data per month to have the ads enabled, then sell the advertising space to businesses. For advertisers, there is the fact that they have extremely rich data on their audience of one. A mobile phone contains information about age, gender, current location, locations visited, interests, and more. Anyone who’s ever produced video of any kind – whether it’s a 10 second short or a full HD movie – knows it’s outrageously expensive and usually quite a painful experience. 90 Seconds has applied crowd sourcing logic to the problem and produced a solution which aims to simplify and streamline what has traditionally been a convoluted process. It has setup a platform where you can brief your job, which is then reviewed by 90 Seconds and posted to their community of worldwide production professionals. Relevant members of their community respond if they’re interested in working on the job and it goes from there. Simple, yet effective. They’ve already worked with the likes of PayPal, McDonalds and Career One. Billed as the ’world’s simplest augmented reality creator.’ Plattar has recently launched a national augmented reality campaign with realestate.com and Ray White. Startupsmart recently featured an article on Plattar, saying it provides a platform for brands, publishers and agencies to create augmented reality (AR) content, encompassing digital video, audio, 3D models, live streams and images – on top of physical things in the real world which can then be seen through phones and tablets. Plattar would have us believe AR is the next big thing. Speak to a techy and they’ll tell you it already is. Virtual reality, or augmented reality technology is apparently going to take over our worlds in the blink of an eye. Personally, I’m not so sure. In my opinion, the only way VR and AR are going to become commonplace, is if they manage to commercialise technology that allows technology to be implanted onto your optic nerve, which would do away with the headsets and allow VR to take place in your own head. Not sure what the adoption rate would be, but it’s a very interesting concept. Watch this space. Shuttlerock and Affinity ID, perhaps my two favourites, have seen our unfortunate struggles and identified a need, and should dominate in the content marketing and inbound lead-gen area. They’re doing it by introducing fresh technologies that truly make life easier for marketers everywhere.